Do you have a computer that is slow, freezes up, or overrun with malware or annoying pop-up windows? Give Dave’s Computers a call. 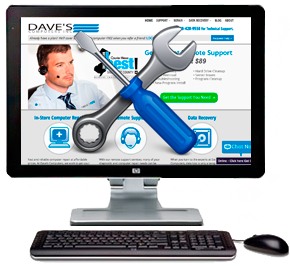 We can help fix your Palmer Ranch area computer remotely so that you don’t even have to leave your home or office. We can remove old applications that are causing your system to run slow. We can remove viruses and malware, set up firewalls, and help with other security measures. We can upgrade old software. We can clean up old junk files that are slowing down your system.